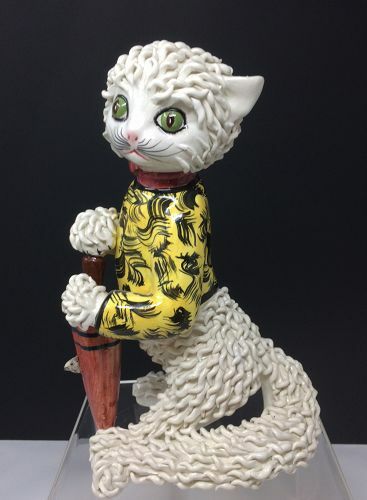 Beautifully crafted porcelain cat made in Italy. The spaghetti curls are in perfect condition. Wonderful artistry on face. 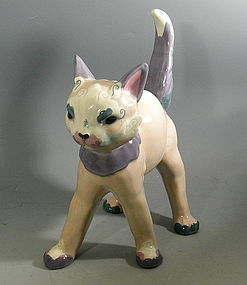 Measures approximately 10 3/4” tall and 6 3/4” from from paws to the back. Overall excellent condition. 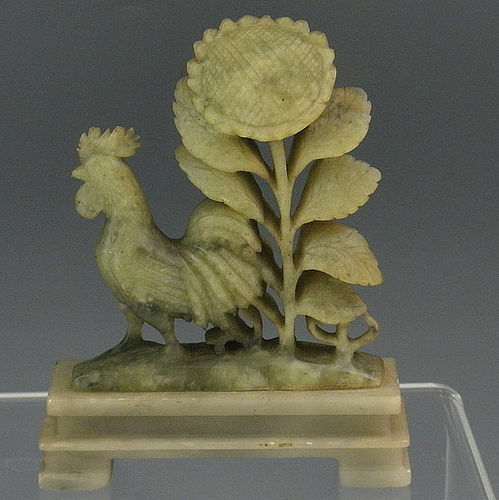 Very nice celadon green hand carved soapstone Chinese rooster with a large flower in the background. Dates to the 1st quarter of the 20th century. 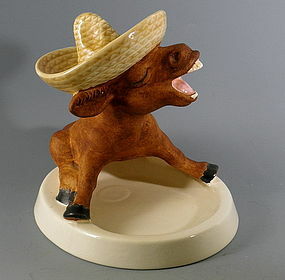 In excellent condition, it measures 5" high by 4" long. 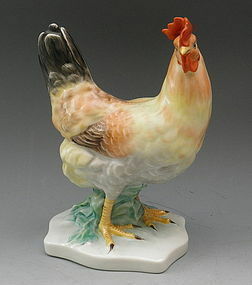 Discontinued porcelain hand painted Herend chicken looking to the right. 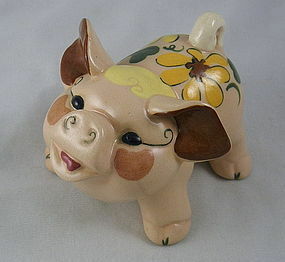 In excellent condition, it measures 7.5" high. 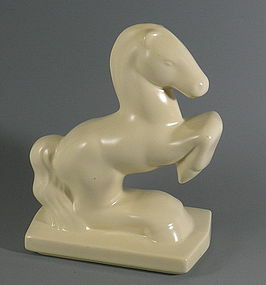 Made in Hungary, circa 1960s. 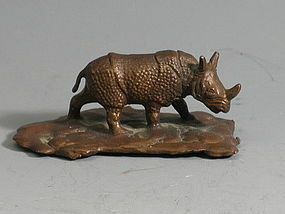 A small bronze rhino measuring 1.5" high, 3.75" long, and 1.5"wide. 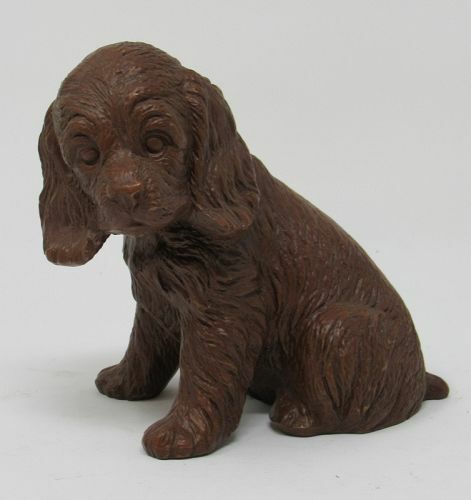 Signed on bottom "Tiffany Studios New York"
An adorable 1st Edition Herend black fishnet porcelain spaniel looking for a caring home. 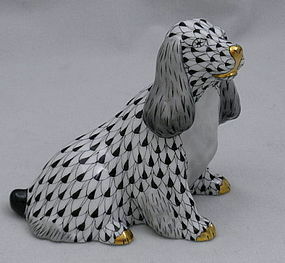 Dated May 1999, our cute pup was hand painted with hand applied 22ct gold decoration. 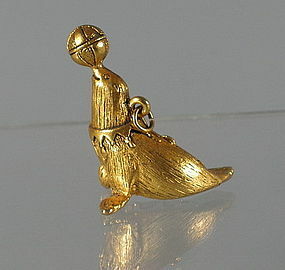 In pristine condition, measurements are about 3" high by 4" long. A perfect addition to any Herend collection. 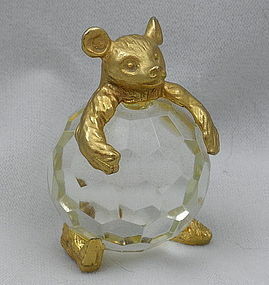 Vintage handmade Italian 24K gold plated teddy bear with a faceted crystal ball body by Menagerie. 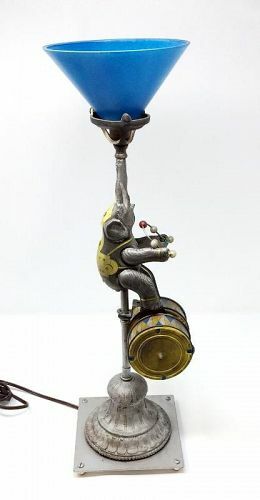 In excellent condition, our adorable bear measures 2.25 inches high. 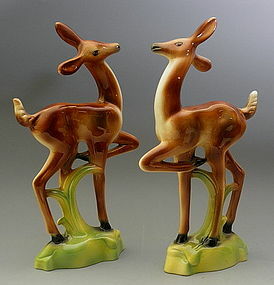 A pair of vintage Art Deco standing deer figurines marked on the bottom: Stewart McCulloch, California. 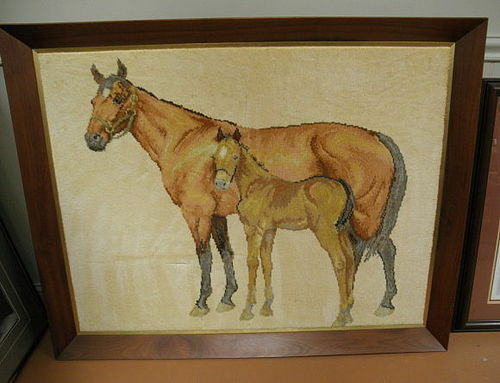 They are in excellent condition with absolutely no visible wear and measure 11" x 6.25 widest. 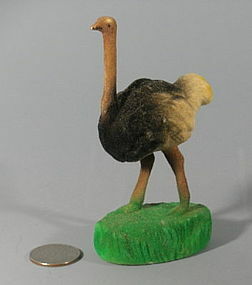 Miniature antique ostrich figurine, celluloid with a colorful fuzzy coat, it is in excellent condition. 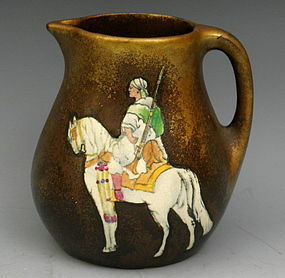 A rare find, it measurements: 4.5" high.